I was just that! A late bloomer to writing or so I thought. 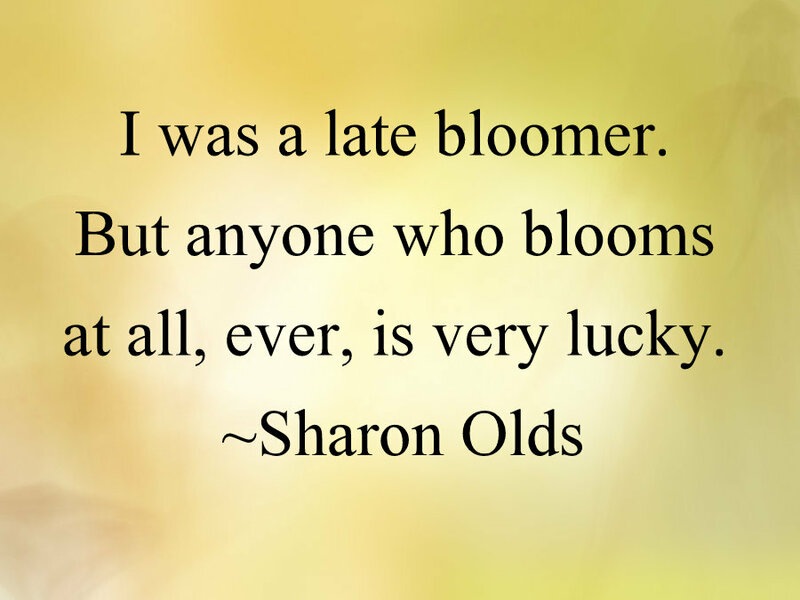 The Slice of Life community helped me to see no matter when one blooms it is never too late. Better late than never! A poem to my long lost friend! Have you found THAT BOOK lately? That one that you can’t put down? I looked at a sketch I made last week and wrote about it today. Here’s my SOL for today. I am looking forward to reading others’ posts. I’m going to try the Tuesday Challenge – here’s a go. Looking for books! My list, what’s yours??? We’ve all had one of those days. Mine ended with Cart Madness. That quote definitely applies to me! Our nest has been abandoned. You are all set Cheriee! I just had to approve your comment. It should come up right away from now on. I don’t usually feel old , but this week I did. Remembering a special friend and thinking about those who touch our lives, however briefly. OOPS. Today is Beverly Cleary’s 100th birthday. I wrote about Ramona and my local library. Today is Beverly Cleary’s 100th birthday. I wrote about Ramona and my local library. Heading back to the constant balancing act. Here’s how I am fitting in poetry during National Poetry Month when time is short. This is about how my children make wishes. Writing about dealing with regrets. An embarrassing moment in the doctor’s office…. I wasn’t even the patient! An early morning wake up call leads to a Brain Clear this morning. Long and busy week . . . and then what happens? This really is just a piece of my daily life! I have fun writing a persona poem as a tea kettle. Here’s to writing longer and stronger! A small moment from snack time that tickled my funny bone. I can’t resist honoring Beverly Cleary’s 100th birthday! I panicked…couldn’t figure out how to post. Kept trying…here it is! Hope you like it; it’s about a special walk with my daughter in the ecotone….